and possesses a chain of luxury show rooms situated in the biggest towns of Bulgaria. The company is established in 1994 and has already taken leading market positions. 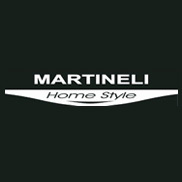 For all these years Martineli has developed its own image and now the brand name Martineli is a symbol of high standard in the field of complete furnishing for your home, house, office and hotel.